Break out your roll of quarters for Wreck-It Ralph, the latest Disney movie that takes place in the world of video games. While most of this year’s animated films have had some sort of reputation following them, this one stands and it’s on its own as an original piece; that is along with backup from some familiar video game characters? However, does this movie have all the skills to compete with the previous animated movies? Tired of being over shadowed by his goody two-shoes protagonist Fix-it Felix (Jack McBrayer), video game villain Wreck-It Ralph (John C. Reilly) decides to leave his 8-bit existence and reset his game by game-jumping in order to win some Wreck-cognition as a hero. But what he doesn’t realize is that his game jump could disrupt a delicate balance, which could mean GAME OVER for Fix-It Felix. The plot and story to Wreck-It Ralph was heartwarming, hilarious, & well thought out. Everything in the story leads to you its grand conclusion. Part of the reason that this story works so well is that the characters are relatable; making you feel for them. The story allowed it to be very creative by using real life elements to not simply tell a story, but create an entire world with rules & circumstances; a feat that many films fail to do. 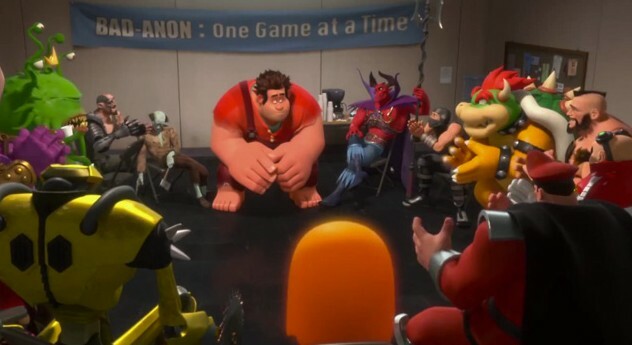 Wreck-It Ralph features cameos from your favorite video games. Hey, even ‘bad’ guys need support. Since Wreck-It Ralph deals with the character ‘game jumping’, (I’m not giving any spoilers here) what the movie did really well with create each game with its distinct look & feel to it. The writing uses video game elements that gamers are familiar with, making the movie resonate deeper with the audience. 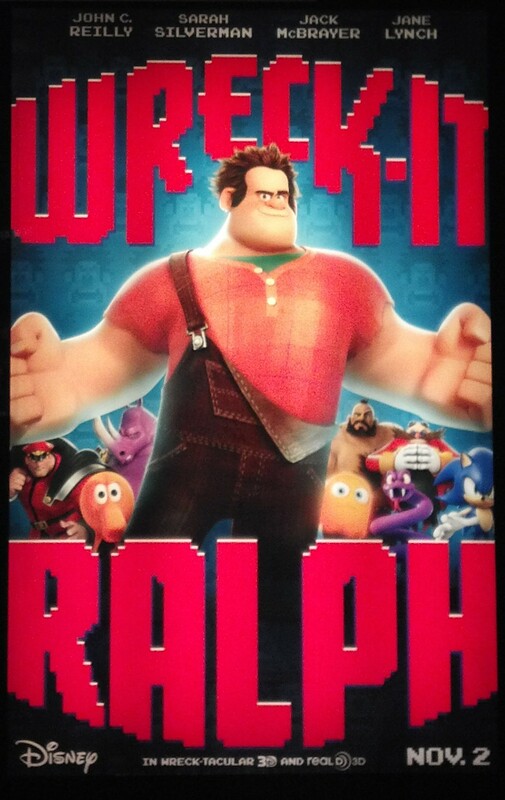 Wreck-It Ralph is also filled with references & characters from the 80’s & 90’s video games that will be appreciated by anybody who enjoys video games. The entire cast of Wreck-It Ralph was very well casted. Not only did the voice capture the character but you could also see the voice actor in each of the major characters. There are just a couple of poop jokes as well as a few intense moments in the film; one that could be frightening for kids the rest stemming from heightened emotion. All in all, it’s a relatively safe film to take your kid to. Wreck-It Ralph is a winner. It is a combination of the 80’s & 90’s nostalgia, a great story & spectacular voice acting. The movie is filled with jokes that’ll keep kids entertained as well as jokes & old video game references that will entertain the parents & people who grew up with these games. Wreck-It Ralph is what Toy Story would be like in a digital world. Definitely an original piece of work from Disney animations, even if it does get a bit conventional by the end. However, I still had a great time with this movie and look forward to sequels. Good review.